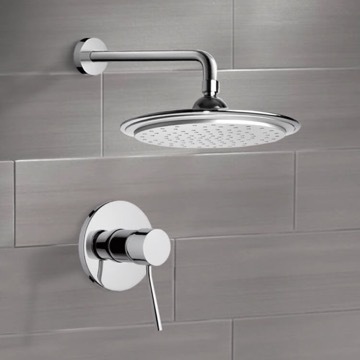 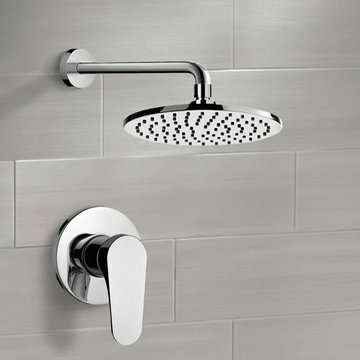 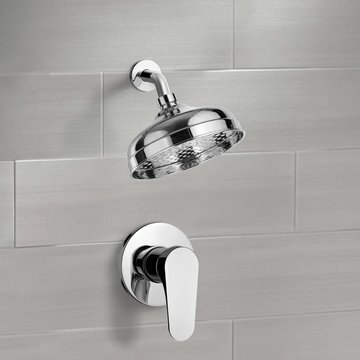 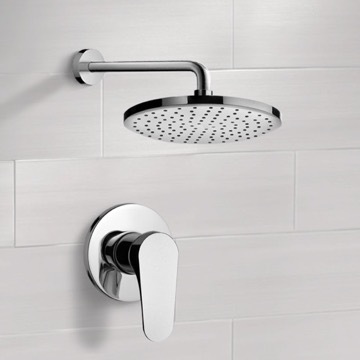 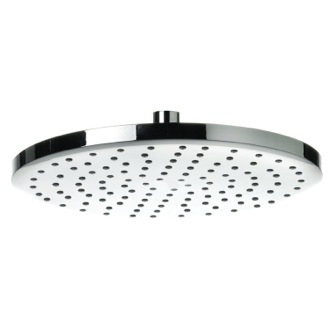 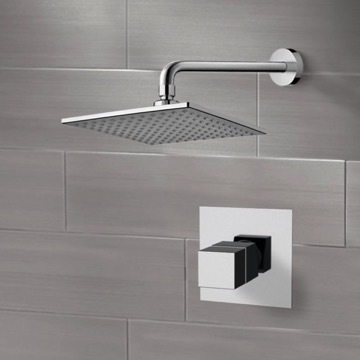 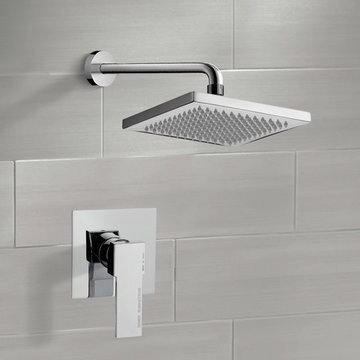 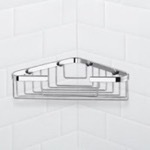 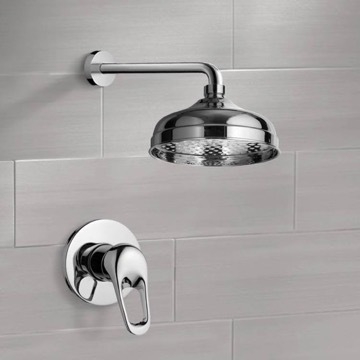 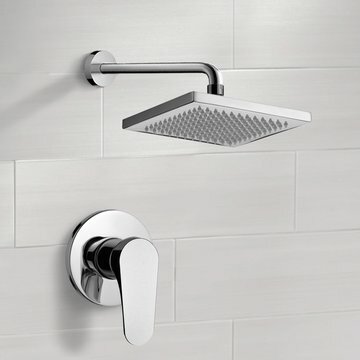 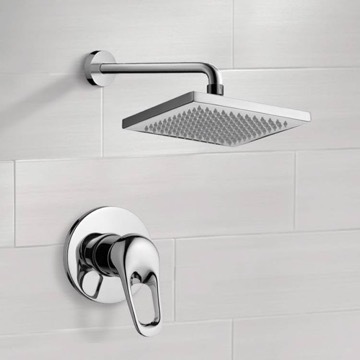 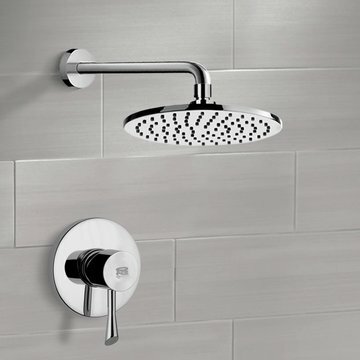 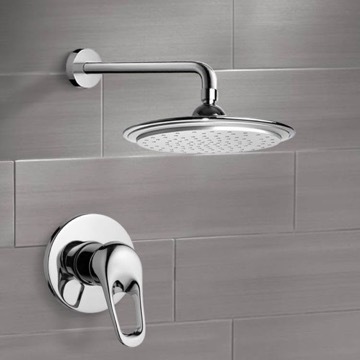 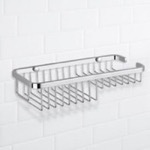 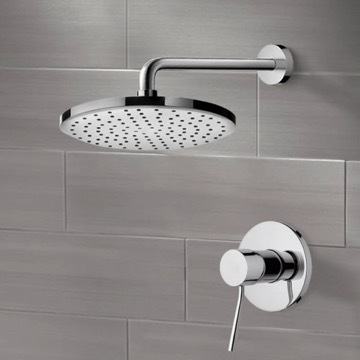 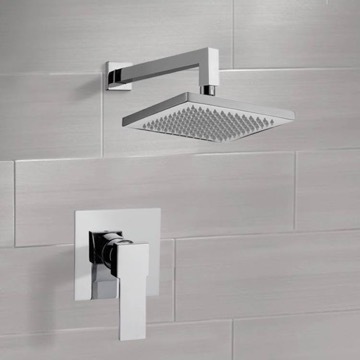 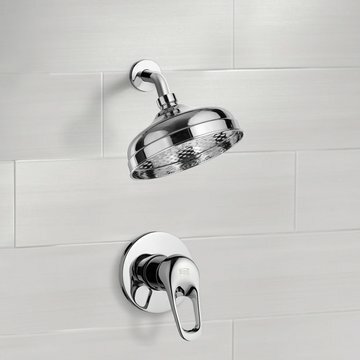 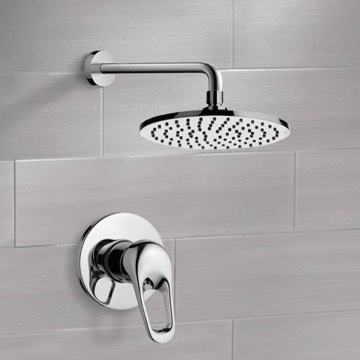 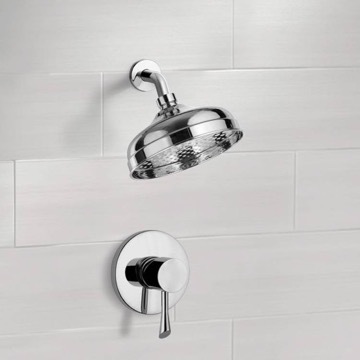 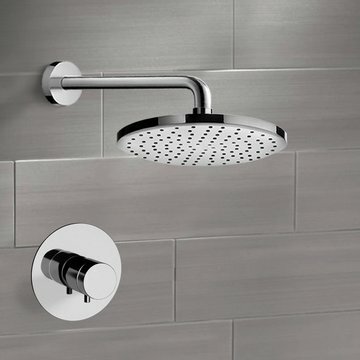 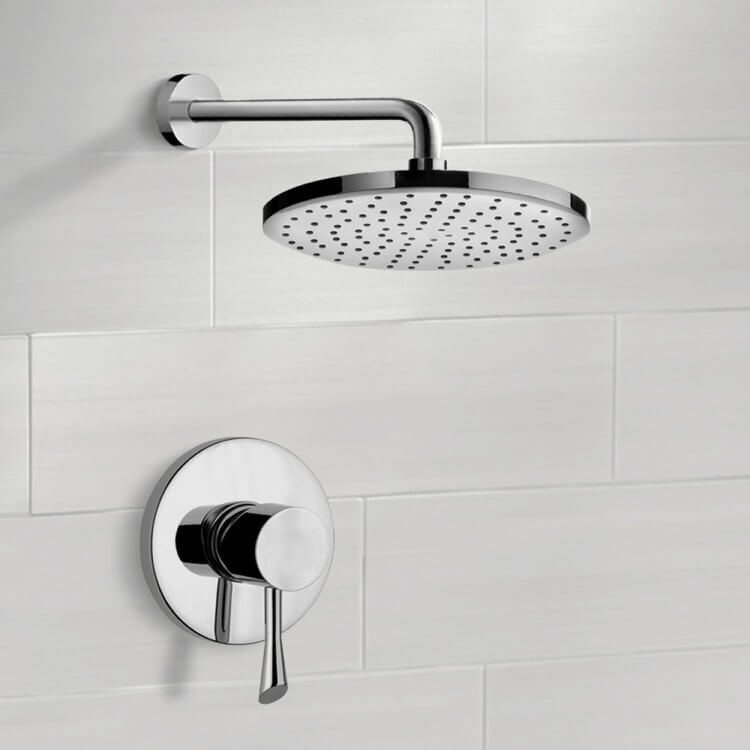 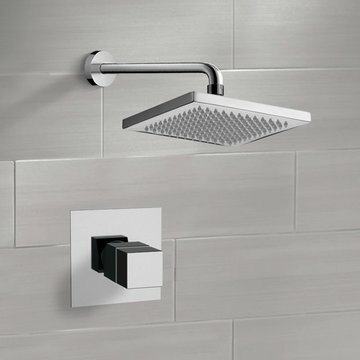 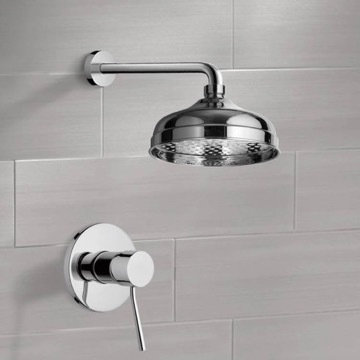 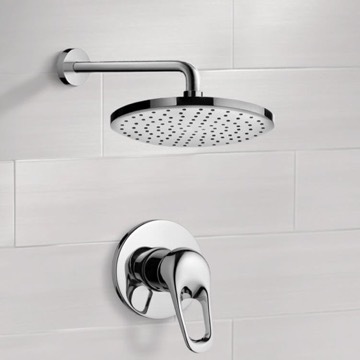 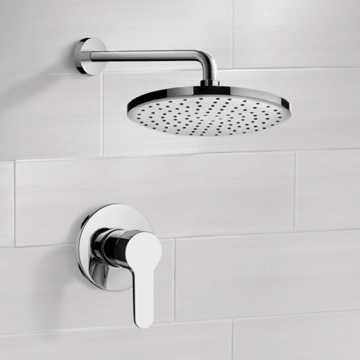 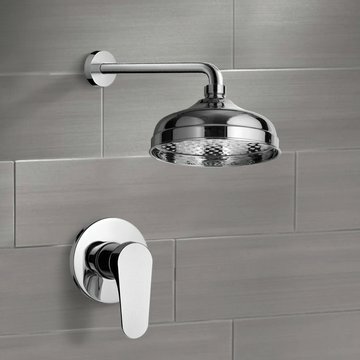 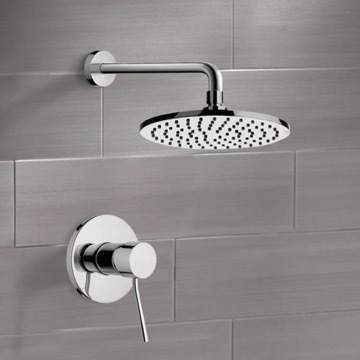 A circular, chrome showerhead highlights this three-piece set by Italian designer Remer Rubinetterie. 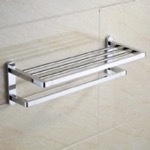 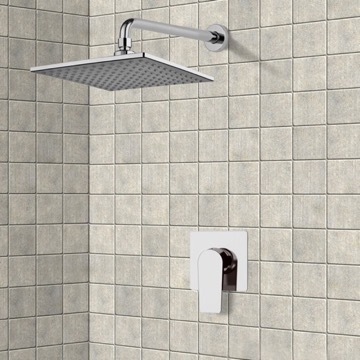 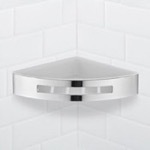 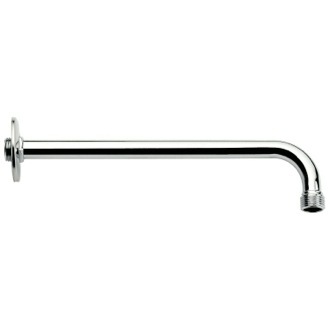 A curved shower arm and a single lever wall mount. 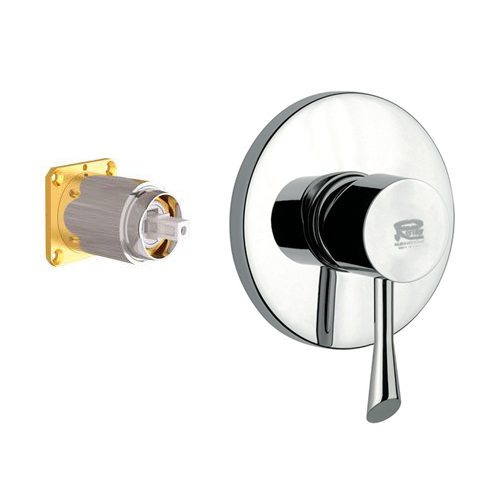 The single lever wall mount diverter is operated with the use of the concealed one-way diverter and the included rough-in valve. 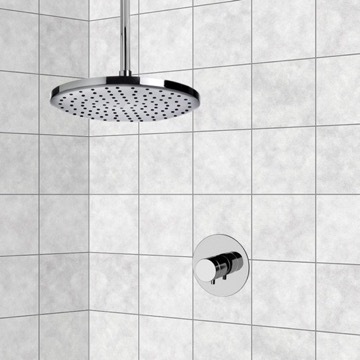 All Remer products are designed and constructed in Italy. 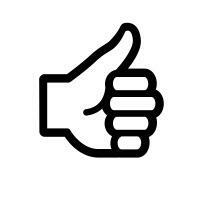 Everything at this point has gone smoothly. 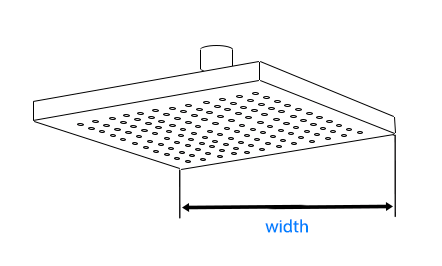 The updates regarding shipping were spot on. 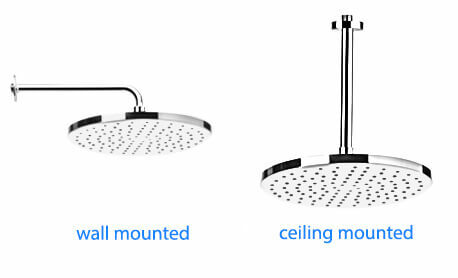 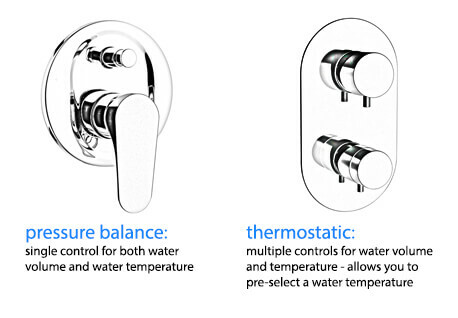 Do not know about the quality of the products since haven't been installed yet.